Kaunis 1700-luvun mökki Bridportissa lähellä Jurassic Coastia. Mökki on piilotettu alas hiljaisella kaistalla rauhallisella paikalla Bridportin kukoistavan kauppapaikan sydämessä. Sijainti on lähellä kaikkia palveluja, kauppoja, kahviloita, ruokapaikkoja, Art Deco Electric Palace ja Bridport Arts Center. Bucky Doon aukio on muutaman minuutin kävelymatkan päässä mökistä, jossa muusikot ja bändit toimivat kadunmarkkinoilla keskiviikkoisin ja lauantaisin ja myyvät kaiken bric-a-brac-katuruokasta. Hiljattain kunnostettu kivimökki on kevyt, kodikas ja mukava. Se soveltuu perheille ja pariskunnille. Kun tulet oven läpi, tulet kuistille takkeihin ja kenkiin ja sisältää kaappiin mökki- ja turistitiedot sekä pelejä vieraiden käyttöön. Olohuone / ruokailuhuone sisältää puupoltin, mukavat istuimet ja erilaisia ​​laitteita, joita saatat odottaa. Ranskalaiset ovet johtavat suojattuun kivi-aidattuun pihalle, joka mahtuu yhteen autoon ja takaa takorautaportin ajoneuvoon pääsyä varten. Piha ja piha sijaitsevat pihalla ulkosalla. Pieni mutta hyvin varustettu keittiö johtaa olohuoneesta. Tämän 3 kerroksisen mökin ensimmäisessä kerroksessa on kylpyhuone kylpyammeella ja suihkulla. Suuri makuuhuone on standardi ominaisuus parivuode. Toisella makuuhuoneella tällä tasolla on aikuiset kokoiset puiset kerrossängyt. Toisessa kerroksessa on säteilevä, persoonallinen ullakkokamari, jossa on standardi parivuode. Kauniit näkymät läheisille kukkuloille ja kaupungin kattoarkkitehtuurin yli voidaan tehdä tämän huoneen itä- ja pohjoispuolella. Kiinteistössä on täysi keskuslämmitys kaikkialla tarvittaessa. Bridportissa on aina paljon kerrallaan. Sekä kahdesti viikossa markkinat ovat kuukausittain viljelijöiden markkinat, kuukausittain vuosimarkkinoiden ja säännöllisesti käsityöläisten markkinoilla pidetään taidekeskuksessa. Bridportilla on ilmainen museo, jolla on merkittävä osio, joka kertoo kaupungin köysiradasta ja historiasta. Vuoden ympäri on monia festivaaleja, kuten esimerkiksi kirjallisuutta, elokuvia, köyttä, ruokaa / juomaa ja ainutlaatuista hattujen festivaalia. Rannat ja satama West Bay ("Broadchurch" kuuluisuus) on noin 1,5 kilometrin päässä mökistä. Jopa muutaman minuutin ajomatkan tai ihana (45 minuuttia n.) Kävellä kaupungin hedelmätarhaan ja Brit-jokea pitkin. Yleensä mökki on hyvä tukikohta kävelijöille ja pyöräilijöille. Monet monipuoliset päiväreitit ja kohteet ovat mahdollisia rannikolla tai kauniilla maaseudulla. Voit helposti viettää viikon tai kaksi eikä käytä autoa, jos haluat. Ympäröivä alue on suurelta osin turmeltumaton useilla alueilla, jotka omistavat National Trust. Rannalla on maailmanperintöä ja monia kirjallisia yhteyksiä, kuten Thomas Hardy. Lyme Regis, Charmouth, Abbotsbury, Dorchester ja Weymouth ovat kaikki helpon matkan päässä. Aktiviteetit, kuten fossiiliset metsästys, kalastus, purjehdus ja golf ovat kaikki mahdollisia. On monia nähtävyyksiä, joihin kuuluu myös swannery, lasten tiloja ja kauniita puutarhoja, jotka ovat avoimia yleisölle. Pysäköinti hotellissa on huolenpito kapea kaista. Jos haluat, on laaja valikoima julkisia pysäköintipaikkoja. 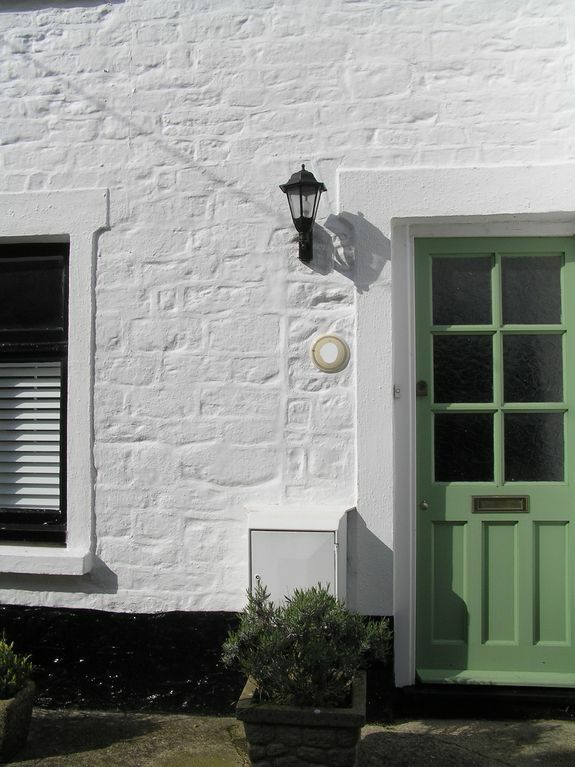 Cottage perfectly situated for exploring Bridport, Bridport perfectly situated for exploring Dorset! The cottage is everything as described. Susan and partner on hand for meet and greet plus any questions. Few constructive pointers for moving forwards (if not already addressed) re: health and safety. The back door (French doors) are very fiddly to lock (ie secure the property). A rat/rats were seen on the pitch roof of the lower building opposite and on the cottage rear patio. The corners of the mat underneath the dining table curl up and are easy to trip over. The kitchen kettle does not pour properly (however you angle it/adjust the speed of pouring) and to have boiling water on the loose in such a small space is not ideal. On entering the property there is a slight smell of damp. If these few minor issued could be addressed the cottage would be fully deserving of a glowing 5 star rating. We really enjoyed our stay in Bridport and the above points are intended as helpful rather than harmful in any way! Thank you for taking the time to review your stay. I am pleased that you enjoyed your stay in Bridport and that you found the cottage a perfect location for exploring Bridport and Dorset. I am responding to your pointers in turn. There are instructions by the keyhole on the French doors on how to unlock the door. However in future I will show guests and explain that the key only needs to be horizontal. It will then turn easily. A rat in the area is a cause for investigation. Following your sighting, I have acted on advice from environmental health and have discussed the matter with neighbours. I will endeavour and urge guests to ensure food sources are kept away from outside areas while continuing to keep the courtyard tidy. Further steps will be taken if necessary. The mat underneath the table has been removed as a precautionary measure to avoid the possibility of a trip. The kettle spout filter has been wiped and the kettle now pours well. The cottage is around 250 years old with stone walls. It will present differently from a more modern house made of brick. I am not aware of any damp in the cottage but will continue to monitor as with all other aspects of the property. If you were to visit again please do not hesitate to use the telephone contact number provided to raise concerns during your stay, so they can be rectified. I would urge any future guests to do this, so satisfaction can be assured. It is pleasing to know that with these issues now addressed, you would give the cottage a 5 star rating. The location is perfect for exploring the Juraissic coast and surrounding towns. Cottage is very clean and well maintained. Parking is tight and we needed to park nearby in long term parking lot which was easy to access and very readonable. Thank you for taking the time to review your stay. I am glad that you loved the location and found it to be a perfect base for exploring. As explained under facilities on the website parking does involve a "tight right hand turn" and we have found a couple of visitors have preferred to park in the nearby long stay car park which is very reasonable. It is unusual to have a parking space with accommodation in the centre of Bridport so it is beneficial to have the option. The cottage is in the perfect location for strolling into Bridport town centre and the market, independent shops, cafes and restaurants. It's cosy, very comfortable and fully equipped, and quiet for a good night's sleep. Walking from the cottage out of Bridport and into the beautiful Dorset hill country and along the Jurassic Coast paths takes only a few minutes, via the nature reserve. We really enjoyed our stay there, and would be happy to repeat the experience. Thank you for taking the time to review your stay at the cottage. I am thrilled that you really enjoyed your stay and do hope that you return. I am really pleased that you enjoyed walking in the area, which does have some fantastic walks. This cottage is a real gem.Tucked away from the main road in a nice quiet location.Met Susan upon arrival and made us feel at home straight away.Very clean, tidy and spacious cottage with a lovely kitchen, bathroom and 3 great sized bedrooms set over 3 floors.Off street parking as well which is a huge bonus with table and chairs on the patio to relax in the evenings.Fabulous views from the attic bedroom.Bridport high street is just round the corner and west bay is just down the road well within walking distance.This cottage will not disappoint anyone who stays there.Plenty of board games, videos and dvds to keep the kids entertained and even has wifi.If you need a place to stay to visit the Dorset surroundings then this is definitely the perfect place to stay.We will be back for sure. Thank you so much for such a wonderful review, it is brilliant to hear that you liked the cottage and location. I am glad you found the parking to be such a bonus. It is good that you were able to enjoy the courtyard in the evenings too. I am so pleased that you had a good holiday and I hope you do return. Friendly owners, great communications, central but quiet and comfortable cottage, great base to explore Dorset from with added benefit of parking. Reccomended! Thank you for taking the time to review the cottage . Really pleased that you found it to be a great base to explore Dorset. A beautiful, quiet and quaint cottage with modern decor and some rustic touches. It had everything we needed except a dryer...which can be found on the main road in Bridport. A great location to explore the area around. We visited Lyme Regis and Weymouth too from here as well as the Jurassic coast including Durdle Door and Lulworth Cove. Bridport is a lovely town to explore. We enjoyed the market and the museum learning about rope making and when we had a rainy day it was nice to visit Sandworld in Weymouth with our kids 6,10 and 13 years old. The lane around to the parking at the back of the cottage is very narrow but we did get by and also just to say the living room does have seating for only 4 adults. But as we had little ones we managed. Was lovely meeting Susan and her partner. Wonderful and informative hosts. Thank you very much. Thank you for taking the time to review your stay at the cottage. I am so glad that you enjoyed the cottage and the location. It was lovely to meet you all too. In addition to the grouped seating mentioned in the review for 4 adults or 3 adults and 2 children, there is another portable armchair situated in the living room available for use if needed. Therefore total available seating in the living room is for 4 adults and 2 children. There is a washing line and a drying rack for guests to use. Jurassic Coast, Abbotsbury swannery, Abbotsbury sub trooppiset puutarhat, Abbotsbury lasten tilalla, fossiiliset metsästys, säiliö museo, Monkey World, Minterne Gardens, veneretkiä, ranta toimintaa, Thomas Hardy maa, Broadchurch paikoissa, Chesil ranta, National Trust sivustoja, National Cycle Verkko-reitti 2, maastopyöräreitti, monet kävelymatkan päässä mökistä ja sen ulkopuolella.